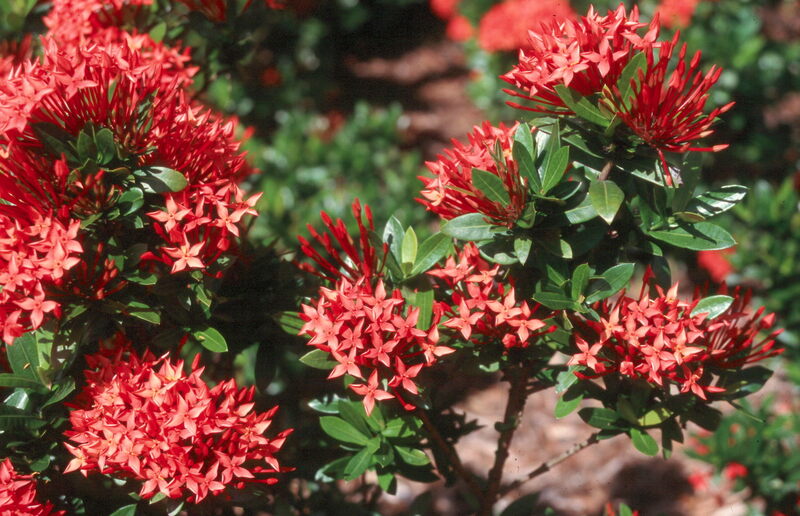 Comments: Hardy only in the subtropical regions of Florida where it is used as a hedge, specimen, and container plant. It produces terminal clusters of blooms and is in almost continuous flowering. Dwarf and standard cultivars are available.